Bluescope Steel developed processing technology (Castrip®) to directly cast molten metal into strip steel and established a global joint venture to commercialise the technology. The first production plant using the technology is in the USA and has the potential to take as little as 10% of the energy of traditional slab casting steel processing plants. The process has demonstrated a 70% reduction in green-house gas emissions and created a new product category – UCS (Ultra-thin Cast Strip). These products can replace cold-rolled sheet and have multiple strength levels that can be produced from a single chemistry via cooling table conditions. Initial markets include: construction, metal buildings, tubing and roll formed applications. The Castrip® process creates new types of microstructures never seen before. 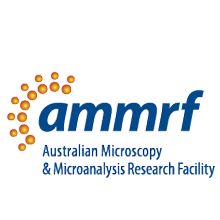 The atom probe instruments at the University of Sydney node of the AMMRF are used to study these microstructures, allowing BlueScope to further develop their Castrip® processes, especially their alloys, to create new and better products. The characterisation information is an important part of establishing a substantial patent portfolio surrounding the technology.